A good quality entrance matting system provides a very effective way to protect your floor covering and keep it clean & beautiful. 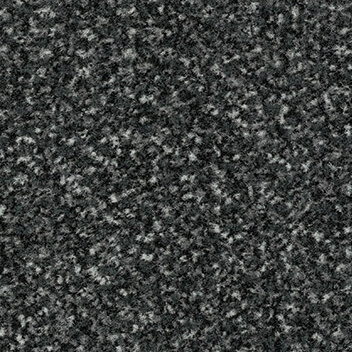 By stopping up to 95% of walked in dirt and moisture, our Coral entrance flooring will help to keep your house clean and safe, and prolong the life of your interior floor coverings. The great all-rounder. Coral Brush is suitable for all types of entrance areas, absorbing moisture and removing dry soiling as the weather demands. Created around simple, solid and linear designs, this entrance flooring works well with any interior, serving as an eye-catcher or self-affacing support for the rest of the floor design. The ultimate moisture absorber. 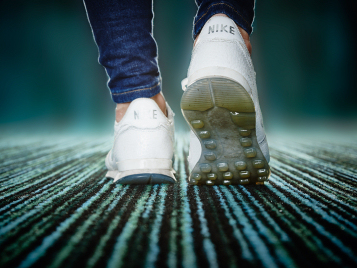 Research shows that taking just two steps on Coral Classic’s moisture absorbing yarns is enough to absorb half of the foot-borne moisture that would otherwise be carried inside on the soles of people's shoes. A few steps more and your feet are as dry as possible. This has clear benefits. 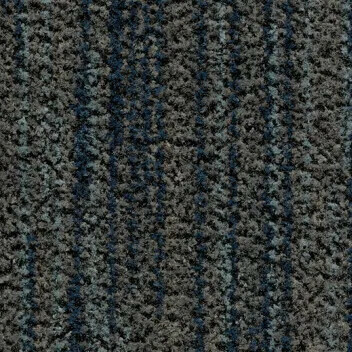 First, the interior floor coverings stay cleaner, longer. Second, resilient floors such as vinyl, ceramics, wood and concrete are less likely to become slippery and dangerous. The ultimate dirt and moisture remover Coral Duo is the ideal solution when you need the maximum dirt removal, unrivalled dirt retention and exceptional moisture absorption, all in just a couple of paces. 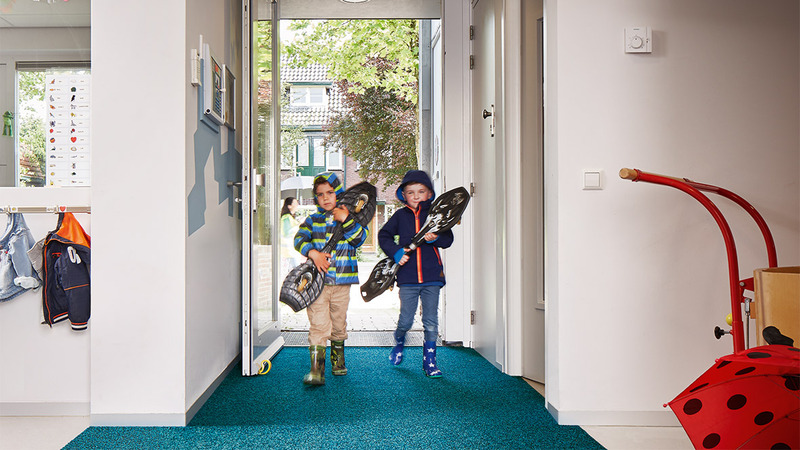 Research has shown that Coral Duo retains 10% more dirt in the first few metres than any other textile entrance flooring solution on the market. Which makes it the best choice for small entrances. 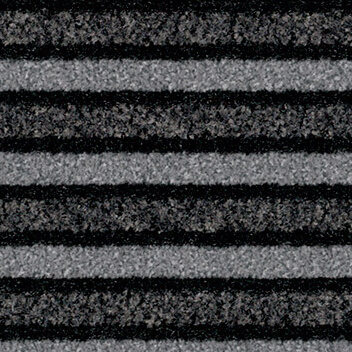 A good quality entrance matting system is vital for modern interior design. 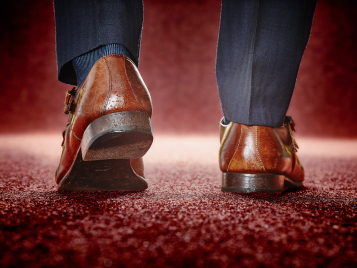 By stopping up to 95% of walked in dirt and moisture, our Coral entrance floors can reduce the amount of time you spend cleaning your floors and also prolong the life of them. Forbo Coral delivers superior performance in even the toughest environments. Whether facing rain, snow, sand or soil, Coral keeps the outside from getting inside. Coral entrance floors are highly functional and thanks to their wide choice of design options, can work with a variety of floor coverings to create a coordinated flooring scheme. 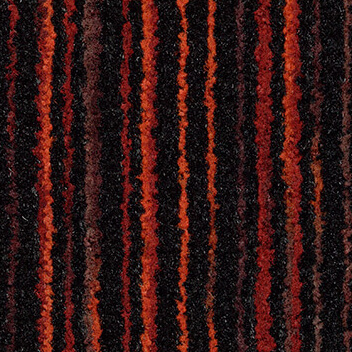 Our Coral ranges are manufactured using 100% ECONYL® regenerated polyamide yarns. 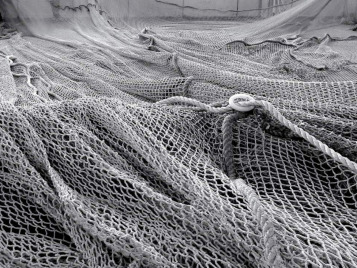 Abandoned fishing nets are one of the unlikely sources of unwanted waste material which go to make ECONYL®. Using ECONYL® is a way to reduce existing waste, avoid additional manufacturing-related pollution, and keep the consumption of natural resources and energy to a minimum.